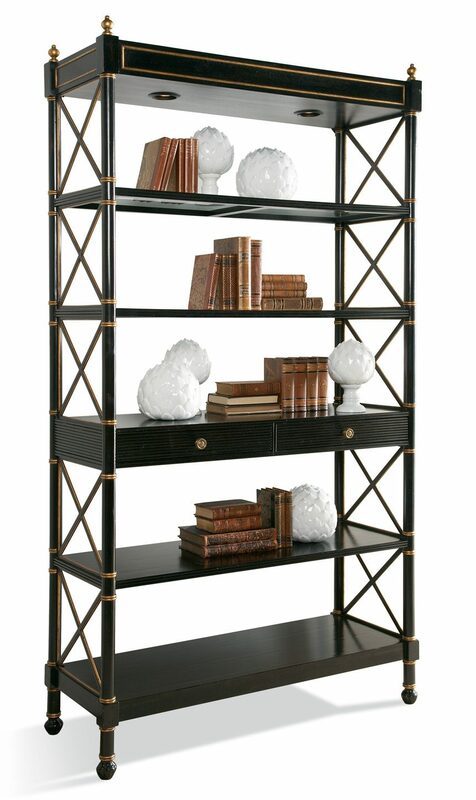 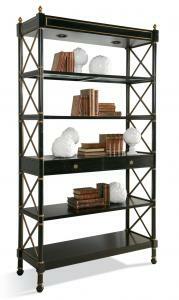 Empire style five tier etagere with bamboo turned posts and two working drawers. 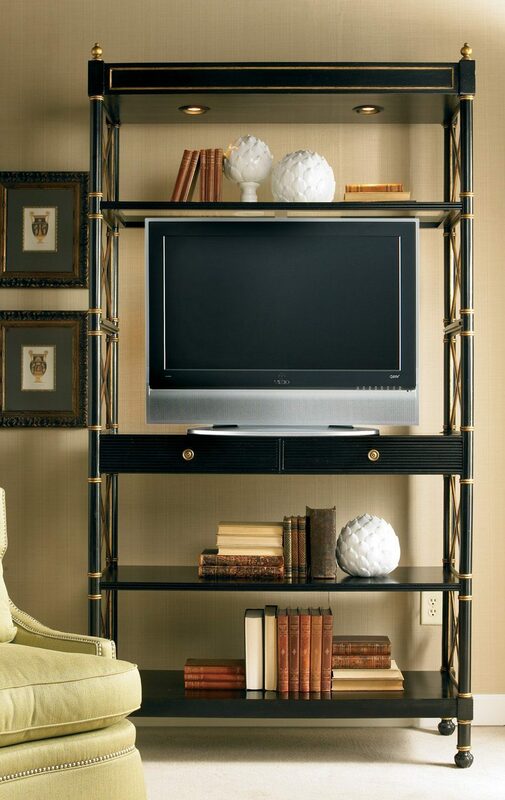 Removable shelf above drawers for TV. 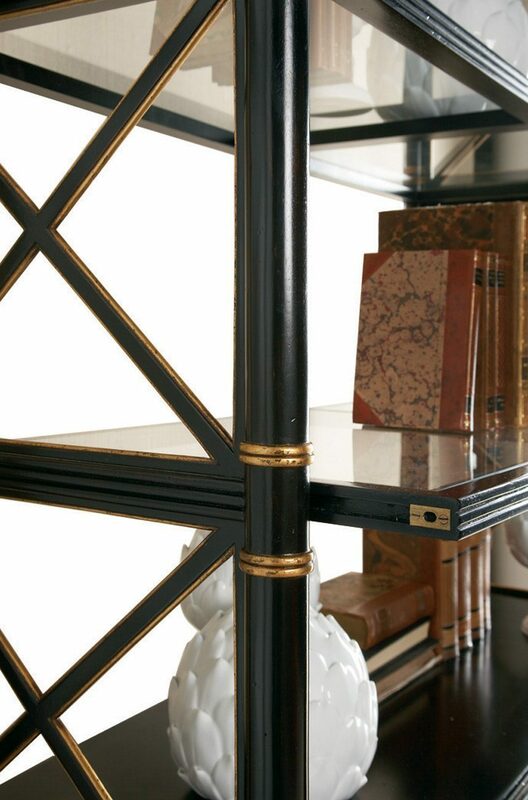 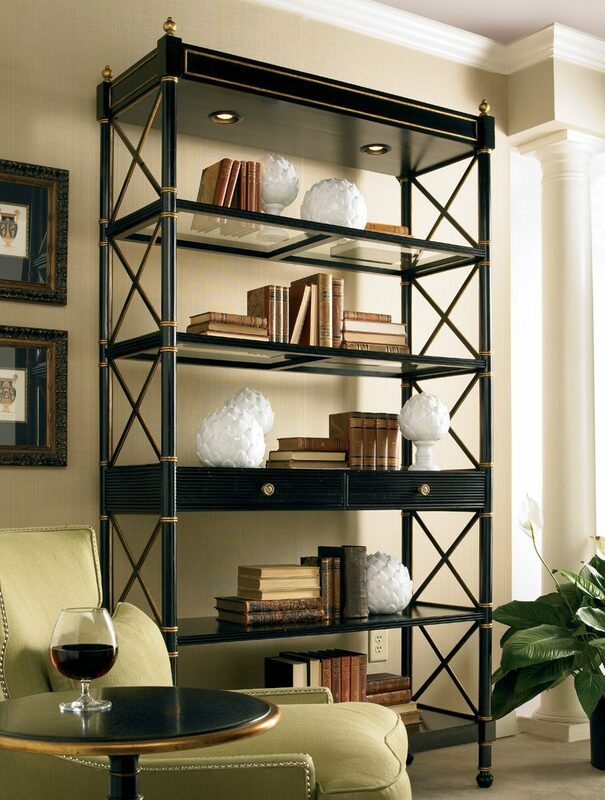 Ebonized black with aged gold accents.